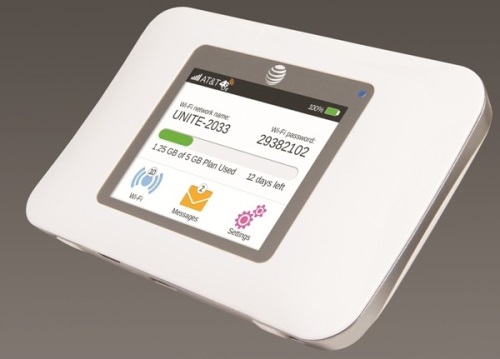 AT&T announced on Tuesday the release of the Unite Pro LTE hotspot from Netgear. This mobile WiFi device, scheduled to be released on November 22nd, features a 2.4 inch touchscreen display and has some upgrades from its Unite predecessor. The Pro will manage up to 15 simultaneous wireless connections with a 16 hour batter life, upping it from 10 devices and 10 hours in the previous model. The price is increasing a little as well, however. While the Unite when for 99 cents with a 2-year contract, the Unite Pro is $49.99 with a 2-year contract. More details are available in this video below from AT&T.